Having an undecided customer hold a pleasure-oriented product makes the customer much more likely to complete the purchase. Not only that, but the customer becomes willing to pay a higher price for the product. There are cultures in which a shopper is offended by a salesperson asking them to hold products before making a purchase. Regarding the last of these, researchers at Texas Tech University assessed two techniques while the online consumer was viewing the item: Zoom in on the image of the item. Rotate the image of the item. Of the two, the rotation produced more anticipation of the rewards of owning the product. These findings could be generalized to in-store sales as well. There are those times you’ll choose to delay the shopper touching the item. In these cases, gently rotate the item while showing it to the shopper. Or with a large item, have the shopper walk around it for a little while before making contact. This is a form of what researchers at University of Oxford and University of Milano call “affective ventriloquism.” Inquiries by those researchers discovered that a salesperson also can achieve the advantages of actual touch by emphasizing touch words—like soft, warm, or fluffy—and by the salesperson running their hands over products as they demonstrate them. Vision and hearing were evoking sensations of feeling the product. When you head off the customer touching the item immediately, it doesn’t necessarily mean avoiding head on presentations, however. Consumers who seek power products such as red meat and sport utility vehicles like head-on portrayals. Cornell University and University of Michigan researchers showed some consumers pictures of SUVs facing directly toward the viewer, while others were shown side views of the vehicles. The consumers seeing the head-on perspective gave higher average ratings of the SUV on words like “dominant” and “powerful.” With pictures of family sedans, there were no differences. Studies at Copenhagen Business School find that this attitude characterizes consumers now in their business relationships with financial institutions. The power of trust is significantly less these days than it was prior to the start of the 2008 financial crisis. 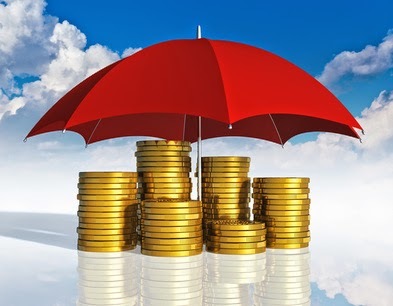 People have come to believe their trust in their banks and investment advisors was misplaced before and have come to feel betrayed. Research at Athens University of Economics and Business in collaboration with National Bank of Greece indicates that a good way to reestablish the relationship between trust and customer loyalty is to use one of the oldest selling tactics in the world—the foot-in-the-door technique. FITD consists of starting out with such a small request that the shopper is very likely to say yes and then using this yes as a base for presenting a series of larger requests. Consumer psychologists have repeatedly found that getting a yes to a small request makes the person much more likely to agree to a larger request if clear payoffs follow that yes to the small request. FITD is a natural when it comes to building trust: Prove you deserve a little trust and the customer is willing to extend you some more rope. A difficulty with this, though, is that financial services can be what behavioral economists call “post-experience goods,” in which it’s hard for the consumer to evaluate the payoff until well after the purchase decision. It takes some time to show me the money. Relevance. Give enough information to the shopper to allow the shopper to make smart purchase decisions. Parsimony. Limit the amount and pace of information to fit the capabilities and the preferences of the consumer. Truthfulness. Have sufficient evidence for the claims you make ready for presentation to the shopper in manageable chunks if the shopper asks for it. Clarity. Use words, phrasing, and the sequencing of ideas which minimize ambiguity for the shopper. Fit your store’s personality to how your target market members want to see themselves. That relates to the values of your shoppers. What do they consider to be especially important in their lives? Power and strength? Safety and security? Trust? Perseverance? Playfulness? Craftiness? Friendships? Something else altogether? Weave messages about those values into your marketing and your salesperson-to-shopper contacts. Mystery. To what degree do you capture shopper interest by having stories that use the history of the business to project into shoppers' futures? Sensuality. In what ways do you depend on sounds, sights, smells, touches, and/or tastes to leave memories with your shoppers? Intimacy. How well do you arouse commitment to your business by showing empathy for shoppers? These research findings are consistent with what’s called the “Lovemarks” model developed by Kevin Roberts, CEO of global advertising agency Saatchi & Saatchi. Although you’ll want to maintain a consistent personality image for your store, avoid matching too closely the personality of surrounding businesses. Researchers at Northwestern University and Emory University say that even when the stores adjoining yours are selling completely different product lines than you, if the personality of your store is a duplicate, people are more likely to wander off to another neighborhood to continue shopping. Another instance of going against the overall personality image is in making charitable contributions. Research findings from North Carolina State University and University of Southern California indicate that you’ll do best to include charities which don’t fit the personality of the store operations. The reason is that this gives the consumers more of a sense of personal participation in helping the cause. They feel noble, and a sense of nobility increases purchase intentions. With Sell Well unveiled and ready for reading by you and your colleagues, I’m turning to an update of my 2010 book, Retailer’s Edge, which no longer qualifies as state-of-the-art. Hold off on buying Retailer’s Edge if you haven’t already. Expect to see the second edition available later this year. At this point, Sell Well is your better purchase. To those who have already read the current Retailer’s Edge, my abundant thanks, along with a question: How might I improve the book? I await your feedback at RIMtailing@gmail.com. I expect to receive conflicting counsel. 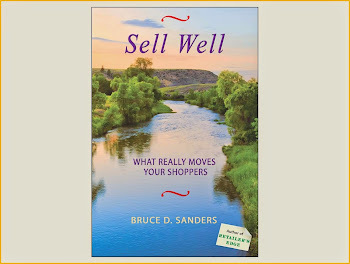 Since Retailer’s Edge was published, I’ve had comments like those from an antiques dealer in Lakeport, California who thanked me for using a typeface big enough that busy eyes could easily read the profitability tips. But I have also received comments like those from a marketing consultant in Anchorage, Alaska who said the large san serif typeface irritated her. 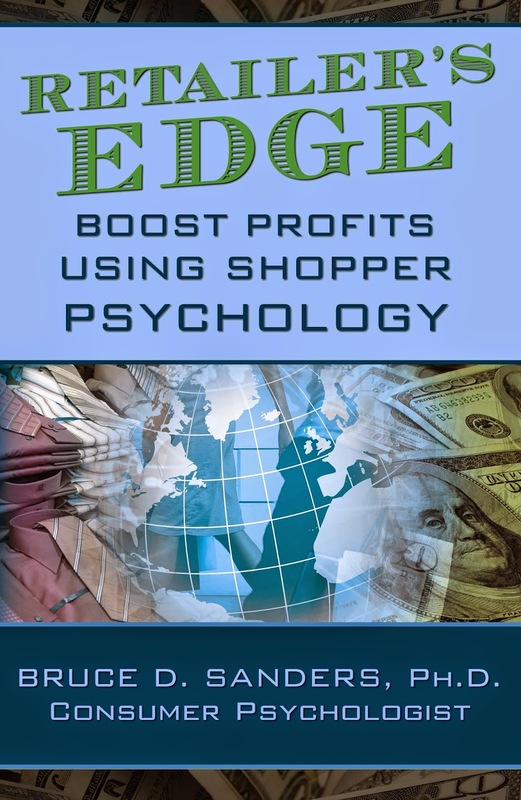 When I began writing Retailer’s Edge, people told me to omit full citations of the research on which I base the tactics I’ve validated in stores and professional offices. Footnotes clutter up the text and make it look too academic, they said. Then once the book was published, others, including academics, said the absence of research citations lessened my credibility. Another instance of conflicting counsel. I welcome suggestions in the same spirit I encourage you to welcome advice from your shoppers and staff. Even when you don’t take the advice, your responses are an opportunity to think through why you’re doing what you’re doing. I also urge you to acknowledge the assistance you receive from your stakeholders. I’ll be doing the same with whatever I discover from you. 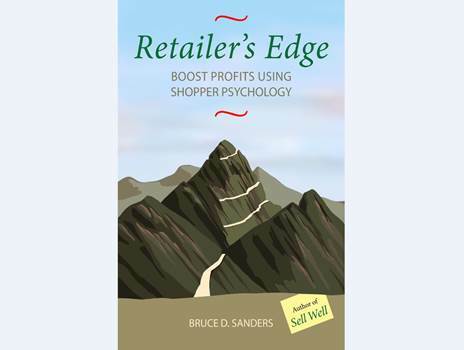 One suggestion I’ve consistently gotten about Retailer’s Edge is to organize the chapters more clearly around the tasks of setting prices, managing discounts, building the sale, and maintaining loyalty. So that’s how I’ll write the second edition. I also want Retailer’s Edge to be a tight companion to Sell Well, which is organized around the eight major motivators of retail purchasing. I do listen and take action on what I hear. That sometimes involves compromise. The body text of Sell Well is in 11 point Garamond serif typeface. And almost all the research citations carry a small superscript number in the body text, with the full reference in a section at the back of the book. No footnotes. Australian retailer Evan Crick called it “stable blindness.” He was characterizing to me the doubts he’s often encountered upon suggesting to store owners in his Mitre 10 group that they implement shopper loyalty programs. When Evan’s phrase first reached my brain, I assumed for an instant that “stable” referred to a fixation on continuing to run the business in the same old unwavering ways. But since Evan is an equestrian, coordinates horse shows, and has sold saddles and all online in addition to screwdrivers and all in his store, I realized his phrase came from another source. 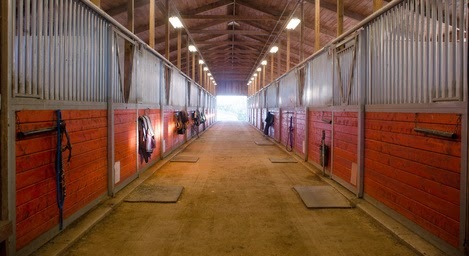 Allusions to blinders on the spirited thoroughbreds and nags nagging against change. A review of decision making studies at Harvard University and University of Chicago indicates the ways in which a stable of merchants can move in either of those directions. The blinders go on when the people fail to share experiences before embarking on a course of action or during implementation of a program. The nagging against change arises when the merchants fear they’ll be out of step and risk their reputations if pioneering adventurous adjustments. Availability heuristic. Individuals pay too much attention to what’s happened most recently or fits in best with their other beliefs. Egocentric bias. Groups help the members see that the preferences of each one may not be typical of the tastes of the potential customers. Planning fallacy. Groups are worse than individuals in underestimating the time, money, and staff projects will take. Framing effects. Group members come to depend on each other to do the critical thinking, meaning that the critical thinking is inadequate. As a result, the manner in which the facts are framed makes too much of a difference. A group will be more likely to agree to a change if told it has a 90% chance of success than if told it has a 10% chance of failure. Sunk-cost fallacy. Because of reputational concerns, groups are more likely than individuals to prolong ill-fated initiatives, throwing good money after bad.